* Mariell's beautiful wholesale vintage lace wedding garters are top selling bridal accessory proudly made in the USA at a great wholesale price! * These beautiful vintage lace wedding garters are a best selling bridal accessory by Mariell at a great wholesale price! * They features antique ruffled lace with a center satin band and measure 2" high. 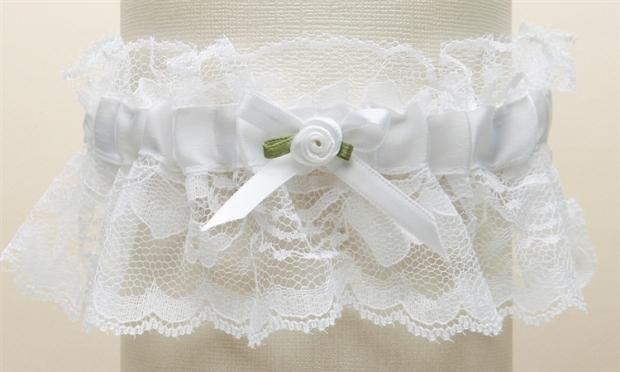 * These garters are available in all white, all ivory, white with blue or ivory with blue. * They come beautifully boxed and are hand-crafted in the USA.